A suspected Boko Haram insurgents’ commander, Mayinta Modu, said he received N30, 000 as payment for coordinating and participatiing in the abduction of Chibok schools girls. Modu said this in an interview with the News Agency of Nigeria (NAN) on Thursday at the Borno state Police Command, Maiduguri. The News Agency of Nigeria (NAN) recalled that the insurgents had in 2014 abducted over 200 students of the Government Secondary School Chibok, Borno. Modu, 23, was among the 22 suspected Boko Haram members arrested by the police for their role in facilitating and coordinating the abduction of the school girls and attacks on communities, military, security agencies as well as suicide bombings in Borno and Adamawa. The suspects were arrested by the Police Intelligence Response Team (IRT), under the command of DCP Abba Kyari two weeks ago in Borno and Yobe. The Commissioner, Mr Damian Chukwu, disclosed that Modu and seven other suspects participated actively in the abduction of the school girls. The police identified Modu, as one of the insurgents’ commanders, who coordinated the abduction of the girls and participated in the attacks on Bama and Gwoza communities. Modu, who hails from Bama in Borno, said that he and other commanders led dozens of fighters to Chibok and abducted the girls from their school in Chibok. The suspect narrated that after the abduction, they trasversed through many areas between Nigeria and Cameroun border. Modu added that the insurgents spent many days in the wilderness before they finally handed over the girls to top commanders of the group. 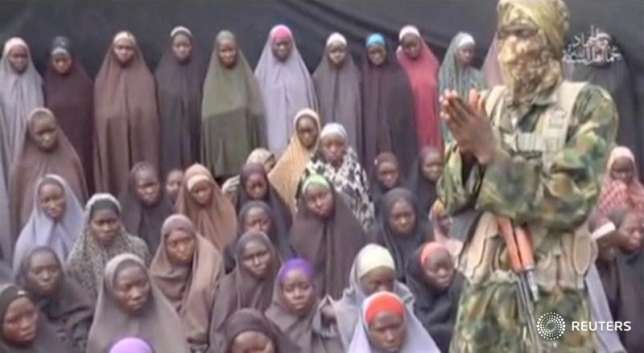 “Most of the abducted girls were released. We were paid N30, 000 each for participation in the abduction. “Equally, when the girls were released sequel to the negotiation with government, we got additional payment of between N30, 000 and N60, 000 each,” he said. Modu added that he also coordinated several attacks on Bama and Gwoza communities, which resulted in the loss of lives and property.